Listed below are some of the options which are available in case we have to lay to rest one of our beloved members of the family. Burial in Fort Myers. The cost for this option is approximately $6,000. The burial will be at a cemetery in Punta Gorda. 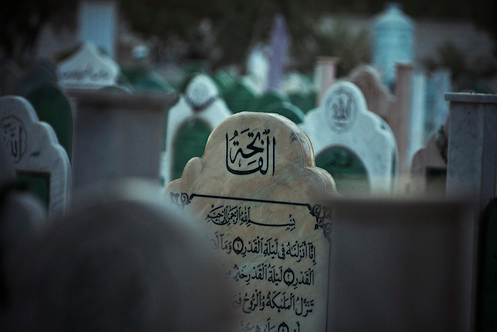 100% Muslim burial ground. Burial with the help of Tampa Masjid. The cost for this option is approximately $6,800. The burial will be in the greater Bradenton area. 100% Muslim burial ground. Burial in the greater Fort Lauderdale area. The cost for this option is approximately $4,500. The burial will be in the Miami Gardens area. 100% Muslim burial ground. Please be reminded that we can usually bury a body within 24 hours. So please be prepared to give us all the information we need such as: name of the deceased, address where the body is, phone number and name of the contact person who we need to communicate with and to discuss the payment method. Whatever your choice, please call us at: (305) 707-4846.